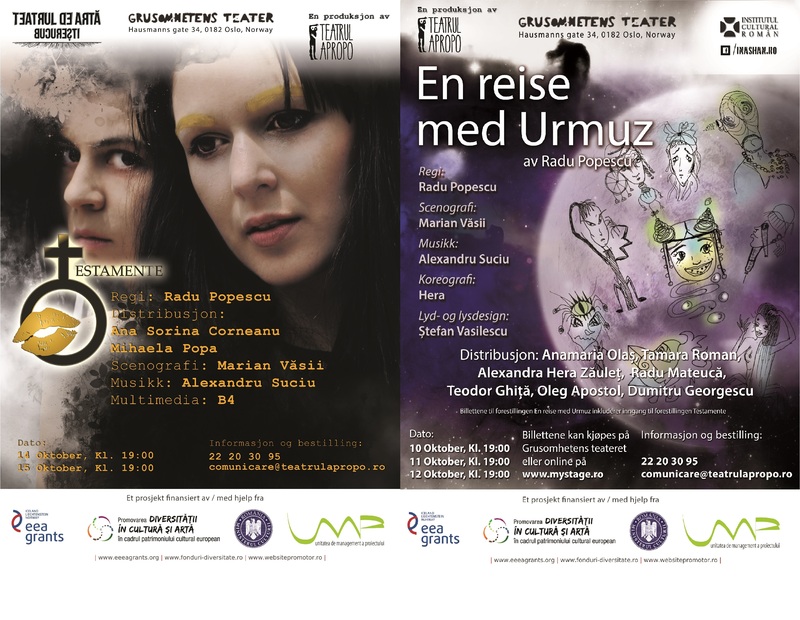 Apropo Theater (Bucharest) presents the Norwegian premiere of two plays written & directed by Radu Popescu: A Trip to Urmuz and The Will. Described as a «surrealistic adventure», A Trip to Urmuz is inspired by characters from the «Bizarre Tales» of Urmuz, as well as early 20th-century avant-garde Romanian writers such as Tristan Tzara and Eugene Ionesco. The Will is a psychological drama about depression, loss, and friendship.